The engine room of our operation is the studio, where a talented team of operators process every detail of each job using up-to-date Apple Macs running the latest Adobe Creative Suite software. 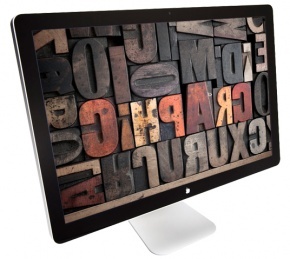 We also have current versions of Quark, Freehand and older software including Pagemaker. Pressprint’s workflow system is Screen Technologies (Trueflow) Equios which provides ‘InRip’ Trapping and Imposition set-up. 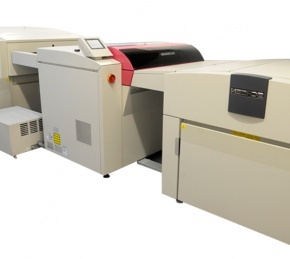 Before committing to any offset print job, we provide full colour output proofs of final imposed files. These are managed by our Labproof SE software to achieve the worldwide ISO or FOGRA colour standards, which in layman’s terms means extremely accurate colour reproduction on either coated or uncoated stock. Our large format printers also allow us to competitively produce short run posters. 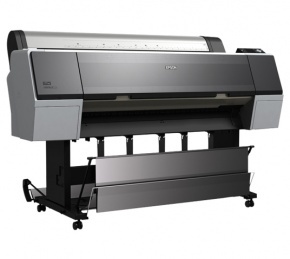 Whether it be as large as A0 in size or as small as A4, the Epson will cater for all sizes. In our digital world, CTP has many advantages over conventional platemaking. In CTP, one generation (transfer of film image to the printing plate) is removed from the printing process, increasing sharpness and detail. Plates are produced in less time, are more consistent, and cost less. CTP can also improve registration and image-to-edge repeatability over traditional methods. Our fully automated in-house platesetter brings superior quality and reliability to the production.